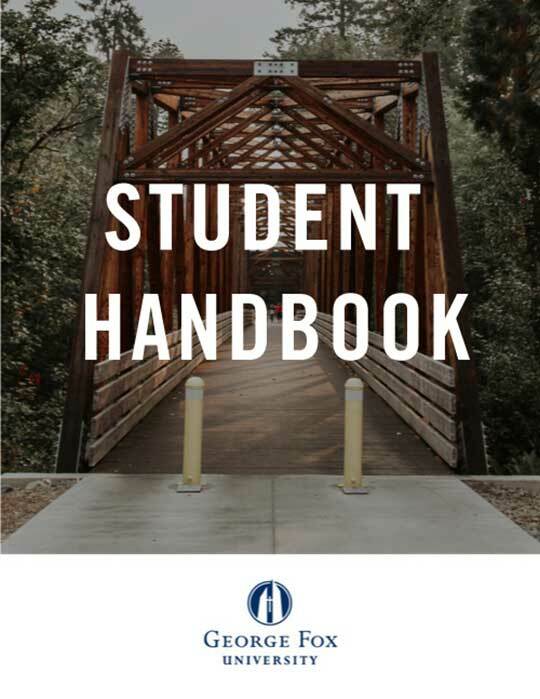 The Undergraduate Student Handbook is significant resource that serves to articulate the lifestyle standards, community policies, and other aspects of being a member of the George Fox community. While every effort is made to ensure the accuracy of the information in this handbook, it is not a binding contract and it may be changed, updated, amended and/or modified at any time by action of appropriate university personnel. Students of George Fox University are responsible for reviewing and adhering to all published university policies. We hope that you find this searchable handbook to be a tool that is both informative and helpful. The handbook is a searchable pdf, where the table of contents are linked to the pages of the document. You are able to both search the document for the topic of interest or click the table of contents to be taken immediately to a specific section. To search the document on a Mac computer please hit “command F” and type in the appropriate search words. On a PC “control F” will allow you to do a key word search. Also, embedded in the pdf are live web-links that will direct you to necessary forms or websites that you might find useful.